On July 10, 1973, John Paul Getty III, grandson of billionaire oil tycoon J. Paul Getty, was kidnapped in Rome and held for ransom. Almost 45 years later, director Ridley Scott (Alien: Covenant, The Martian) turned the ordeal into the movie All the Money in the World. All the Money in the World begins with the kidnapping of Paul Getty (King Jack‘s Charlie Plummer). The kidnappers demand seventeen million dollars for his release, and his mother, Gail Harris (Michelle Williams from Manchester by the Sea), asks her ex-husband’s father, J. Paul Getty (Christopher Plummer from Beginners and The Exception), for the money. Claiming that paying ransom would result in the kidnappings of his other fourteen grandchildren, Getty refuses to pay the money. Instead, he hires an agent named Fletcher Chase (Ted‘s Mark Wahlberg) to help Gail retrieve the boy. A high-stakes game of chicken erupts as the kidnappers lose their patience, putting Paul’s life and limbs in jeopardy. Ridley Scott directed All the Money in the World from a script written by David Scarpa (The Day the Earth Stood Still) and based on a book by John Pearson (who also wrote the book that inspired Legend). It’s one of those based-on-a-true story movies that Oscar voters love. Basically, it’s this year’s Argo; it takes just enough dramatic liberty with the real story to make it suspenseful (and to pad it out to the two hour-plus Academy length), but the human interest is kept intact. And it’s surprisingly compelling for an epic cat-and-mouse movie that isn’t a cloak-and-dagger thriller. The most fascinating aspect of All the Money in the World is the shifting moral ambiguity of the film, and the sense that the audience never really knows who the true antagonist is. Of course, the kidnappers are the initial villains, but as Gail bumps up against Getty time and time again in an effort to save her son, the lines between good and bad start to blur. 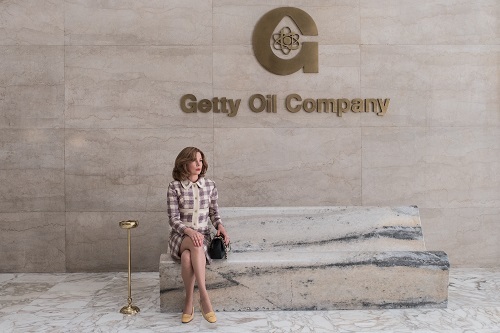 Getty is a notoriously cheap man, and his frugality is pounded into the viewer’s head over and over again. Money is more important than his grandson, and even though his reasoning for not wanting to pay is justified by all of the false instructions for dropping off the ransom that his people receive from conmen who are not the real kidnappers, he even pulls some greedy stuff with the finances that he does agree to contribute. Add in the fact that one of the kidnappers is sympathetic to Paul’s plight, and Getty winds up looking like the true antagonist of the film. If there’s one thing that Ridley Scott knows as a filmmaker, it’s how to raise tension, and there’s plenty of it in All the Money in the World. It’s not an action-packed shoot-em-up, but it doesn’t need to be. It seems to follow the true story pretty closely, more or less, so if you aren’t familiar with the Getty kidnapping, you’d be best served to see All the Money in the World before you look into it so that all of the twists and turns of the narrative will remain surprising. Fresh eyes will be rewarded. 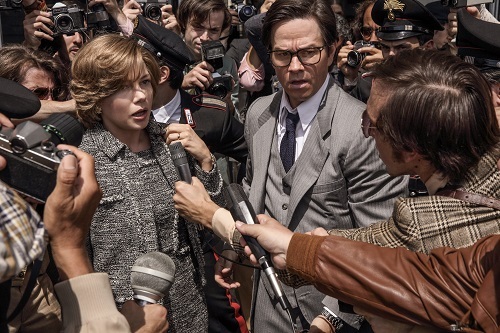 At the core of All the Money in the World is a powerhouse performance from Michelle Williams. At first, her maternal character is restrained and subdued, as if she’s in shock over the entire situation. Eventually, she takes matters into her own hands, desperately and resourcefully exploring every option she has, and Williams is terrific at communicating the wide range of varied emotions. Mark Wahlberg, on the other hand, sticks out like a sore thumb. He seems to have no idea what he’s doing in the movie, and the audience shares his confusion. All the Money in the World is not an action thriller, but Wahlberg seems to spend the entire movie patiently waiting for his chance to beat someone up, and that chance never comes. He doesn’t even look right in the dapper, strapping young nerd costume that he’s in. And then, there’s Christopher Plummer. 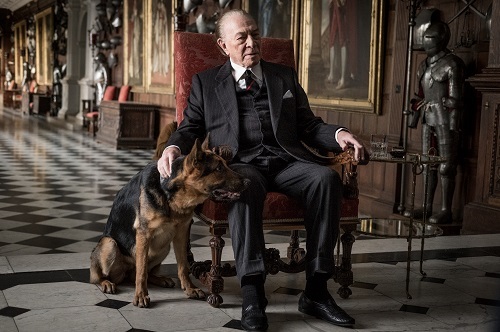 The big story that loomed over production of All the Money in the World is the eleventh hour replacement of Kevin Spacey (Baby Driver) with Plummer due to, well, certain allegations that had been levied against Spacey in recent months. Plummer absolutely commands the screen, and it’s hard to imagine Spacey playing the role of Getty better after seeing Plummer do it, no matter how talented Spacey may be. 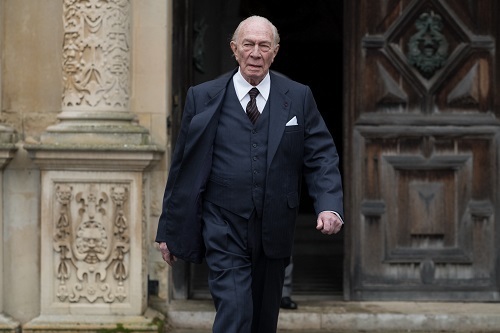 Stepping in on short notice, Christopher Plummer delivers his best performance in years. The last-minute insertion of Christopher Plummer into All the Money in the World is a technical marvel. 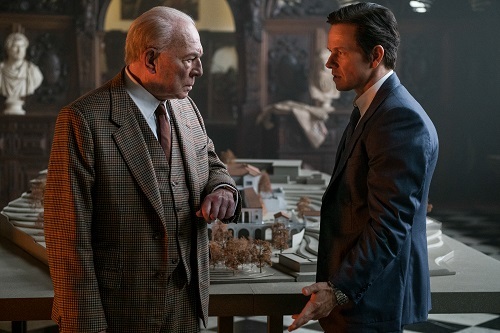 Once Ridley Scott made the decision, there were nine days of reshoots that involved calling in other core cast members like Williams and Wahlberg to essentially redo Spacey’s scenes. And, despite his role being considered “supporting” in the story, the character of Getty appears onscreen a lot, and Plummer’s performance was reportedly much different from what Spacey did. So, with one or two takes per shot and plenty of camera coverage, Scott quickly and cleanly replaced Spacey. Which left editor Claire Simpson (who has cut everything from C.H.U.D. to A Most Wanted Man) to erase Spacey out of All the Money in the World. The results are seamless, with Simpson and Scott basically replacing the existing scenes with the new ones, and doing it without causing any major pacing or rhythmic problems. Although there does seem to be a little bit of green screening, there was no digital trickery involved (no Peter Cushing/Rogue One stuff). It’s just Scott covering his bases while shooting and Simpson gluing it all together. And it’s faultless, as if Spacey was never there.